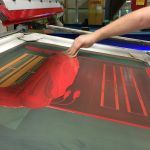 Our high-quality screen printing produces vibrant results, is suitable for a wide range of applications with multiple colors, and has the tightest possible registration in the industry. 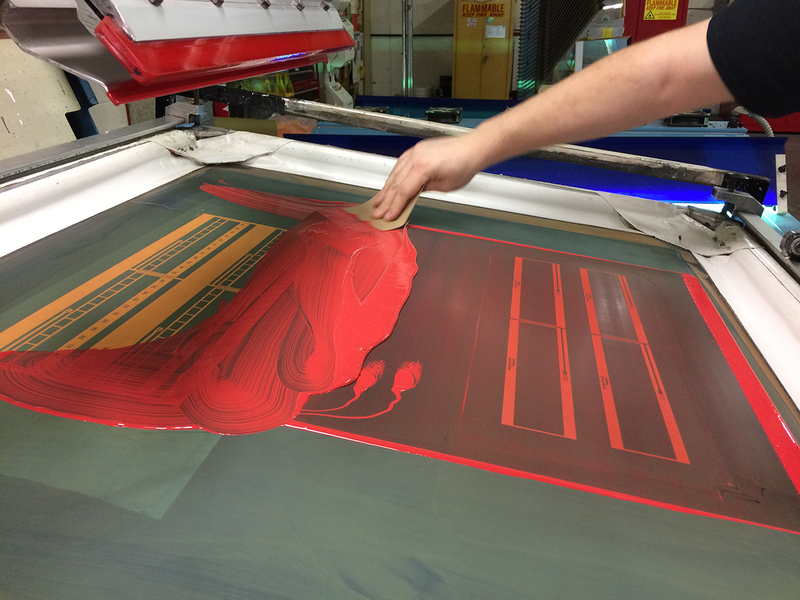 We are equipped to print with both ultra-violet and conventional inks. 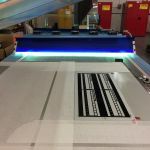 We screen print on vinyl, polyester, highly-economical polymers, and on a variety of adhesive materials in accordance with the best process for your needs. 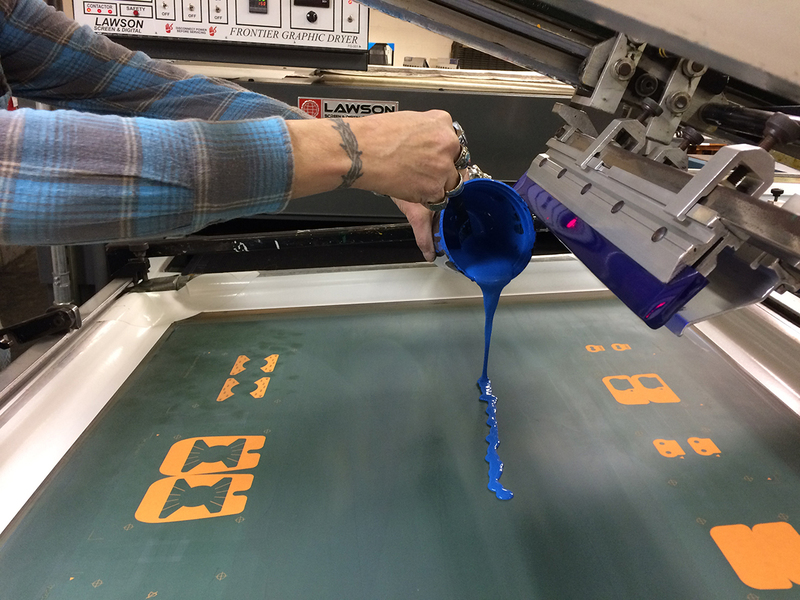 Known for durability in harsh environments, screen printed graphics enhance the finished appearance, style, and design of your product. 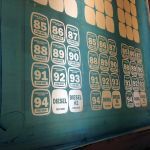 Although we specialize in screen-printed, custom die-cut decals for OEM (Original Equipment Manufacturers), we create a wide variety of custom products. We have the expertise to help you select the best combination of process and materials for your application. Decades of experience allow us to provide an unbeatable combination of precision and quality, fast turn around, and very competitive prices. 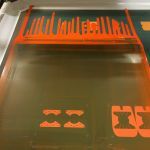 With Nu-Art, your graphics will have perfect clarity, detail, and legibility, along with the durability that only screen printing affords. 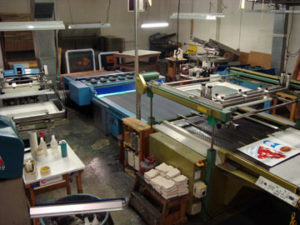 There are several reasons to choose screen printing over digital or offset printing. 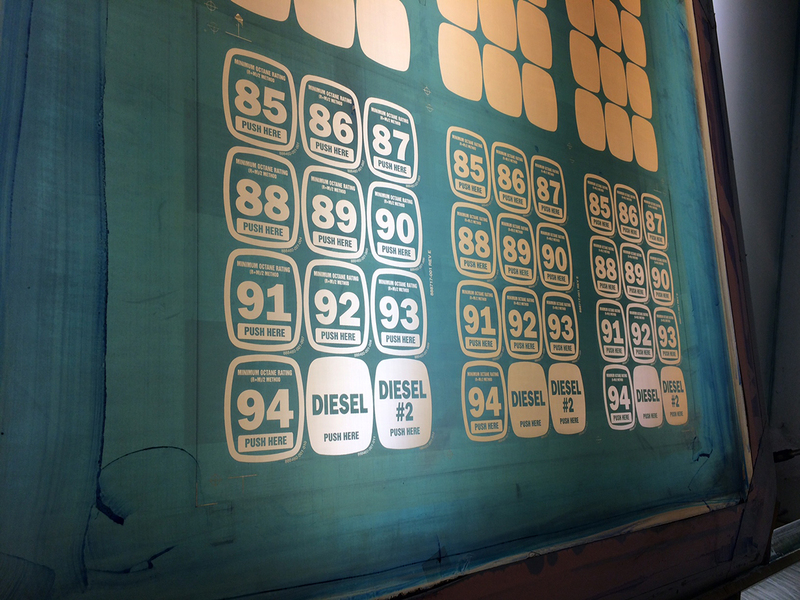 The key reasons are durability, color match precision and consistency, and the ability to print with metallic inks. 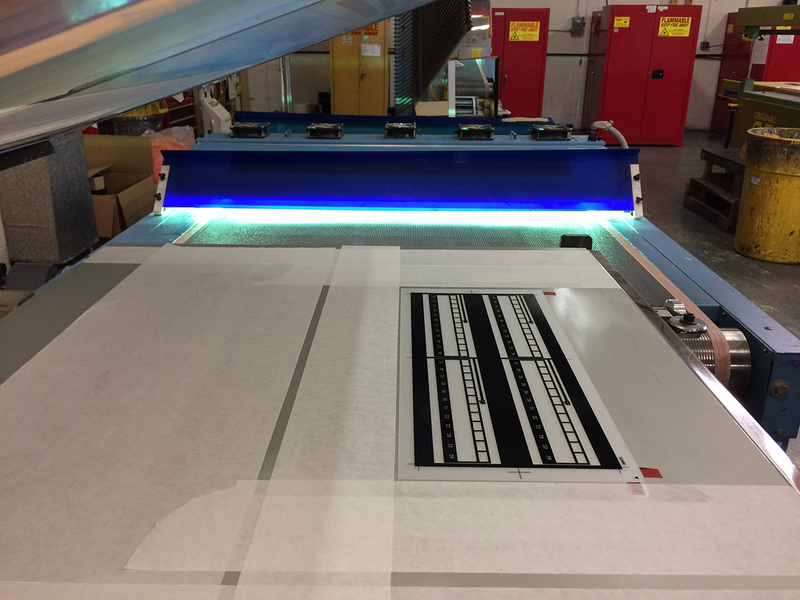 Example of color matching — grey was matched to color of equipment to give appearance that logo is printed directly on the equipment. 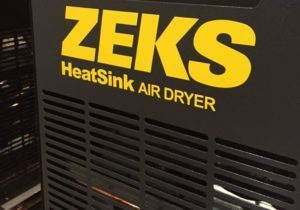 Durability in harsh environments: if your product must function in a harsh environment, we have solutions for you. 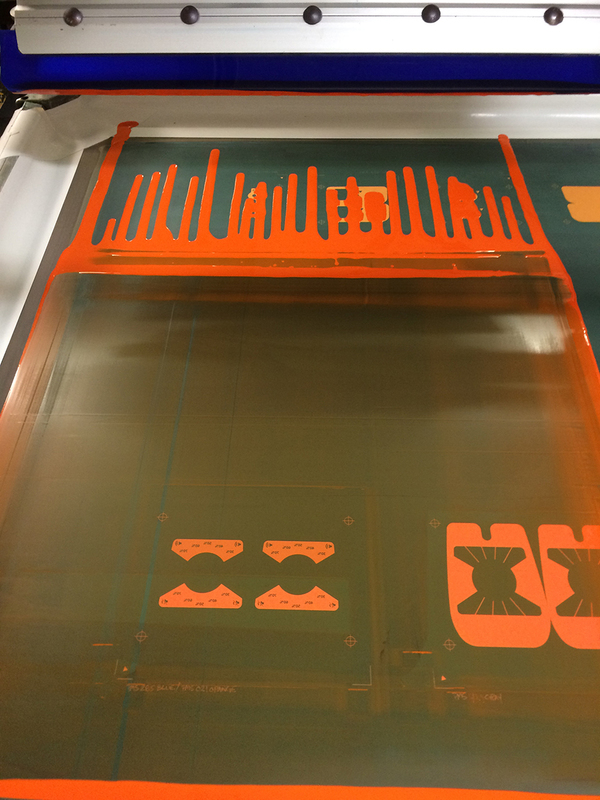 Nu-Art Graphics can work with you to design a product that can operate in difficult environments, such as those with temperature extremes, harsh chemicals and solvents, and physical or mechanical abuse. Depending on the combination of materials and inks chosen, we can guarantee 5-7 years of outdoor longevity. 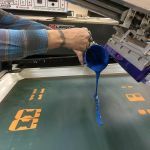 Color match precision: screen printing delivers bold, brilliant and saturated color with 100% guaranteed precision to match and consistently reproduce color over time. 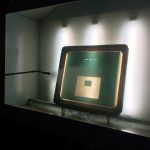 While digital inks have improved, they can’t compare in color and pigment density to screen print inks and cannot maintain color consistency from run to run the way screen printing can. We offer Pantone® and RAL color matching. 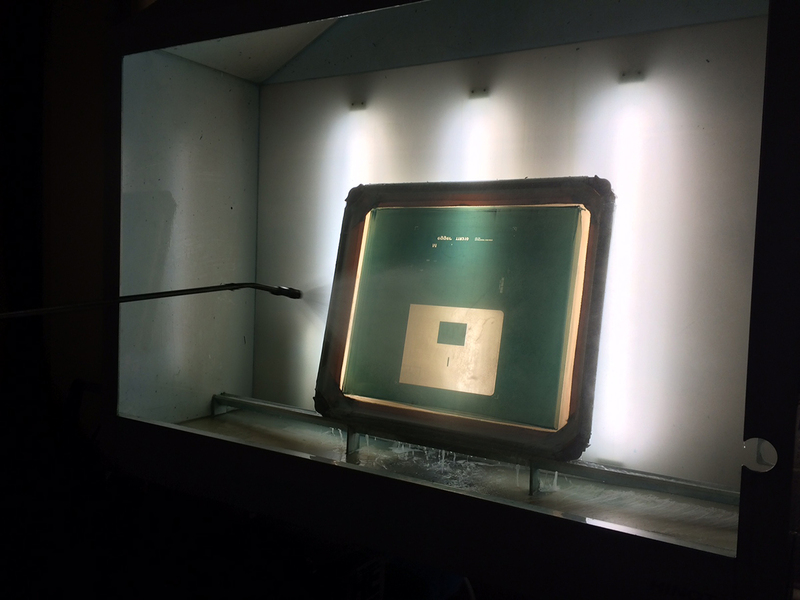 We will also custom color match to your specifications/samples.